Looks like a big Prius!! Anyway, this is not a SUV, SAV, etc. - why do we have a separate forum for it?? Shouldn't it just be under the "Other BMWs" forum?? Namely because the GT-series has the X-drive, so it shares much of the same underpinnings and platform as the X5 and X6 vehicles. Wonder why it's not coming to America? BMW had media presentation to American press recently and all the press people criticized the tail of the car that its Pontiac Aztec inspired. Bad American press. Its not that bad in person. 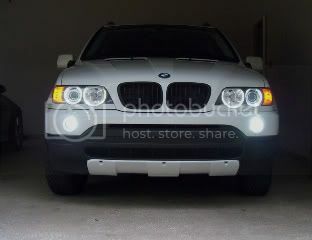 Those angel eyes are super bright and serve as DRL. 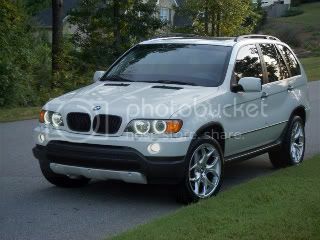 Can't wait for them to be on X5s. honestly, this thing tarnishes the "Gran Turismo" name. As far as I'm concerned, the only TRUE gran turismo cars out there are vehicles such as the Maserati GranTurismo; any of the SL Mercedes; and, frankly, the BMW 6er. I'm sure I'm leaving a few others out, but those are the first three that come to mind. THIS is NOT a GT car. Period. In fact, it reminds of me of the way that so many POS american cars in the 80s and 90s were given illustrious names recalling famous european venues while the cars that wore the badges were nothing more than (often) live-axle pieces of junk. I'm sure this BMW GT will prove to be another amazing BM vehicle: fine engineering, sublime comfort, fantastic practicality. And I praise it for that. It just shouldn't be called a GT. p.s. i recognize where that photo was shot -- BMW always puts new models there I remember arriving there a few year ago and saw the M5 Touring. Audi also puts new cars on display. I remember seeing the new S5 last time too. Or was that at Frankfurt. I forget. Have you seen one in person and sat inside one?